Zombie - Free Photoshop Brushes at Brusheezy! 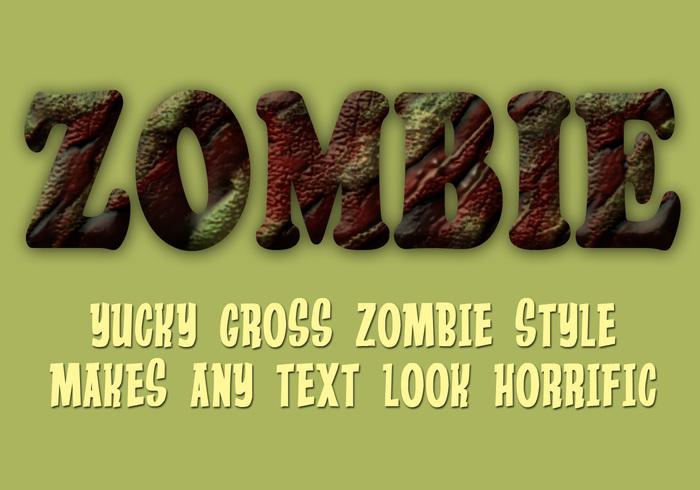 Turn any meek and unassuming typeface into a decayed mess of Zombie flesh. Guaranteed to putrify even the most decorative fonts. Perfect for Halloween, horror movie titles and scary posters.